Welcome to Rowan Precision Ltd, where, we have been manufacturing the highest quality precision machined components and turned parts for over 30 years. During this time we’ve built a strong reputation for quality and service supplying national & international customers in diverse industries including Aerospace, Medical, Safety, Defence, Lighting, Automotive, Electronics & Telecommunications. Component design can be discussed and modelled in 3D using the latest solid works CAD software. The design can be exported to our CAM package for machining simulation or printed on a 3D printer. We have an impressive range of state of the art CNC equipment all controlled by the latest, programmable DNC system which has online back up for security and peace of mind. Production capability is centred around our 13 axis CNC sliding head machines and twin spindle fixed head CNC mill turn machining centres which handle any type of material up to a maximum bar diameter of 80mm. 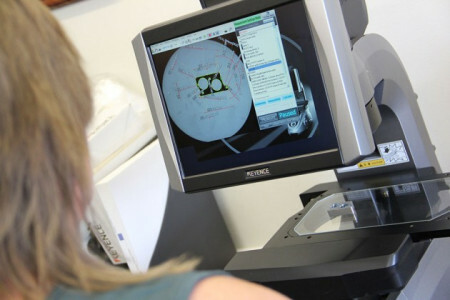 Rowan Precision’s rigorous inspection and testing procedures are exactly what you would expect from a company with accreditation to the AS9001D Quality Management System. We have recently installed a Keyence image measurement system which uses “State of the art” measurement technology and can provide comprehensive reporting. A class leading Mec Wash aqueous ultra-sonic cleaning plant has been installed to meet the stringent cleanliness requirements of our customers. This gives excellent results and yet is one of the most environmentally friendly wash machines on the market. Finally, in addition to our extensive manufacturing capability, we add finishing to the highest possible standards, extensive assembly facilities and KanBan and consignment stock services, all delivered directly to our customers.